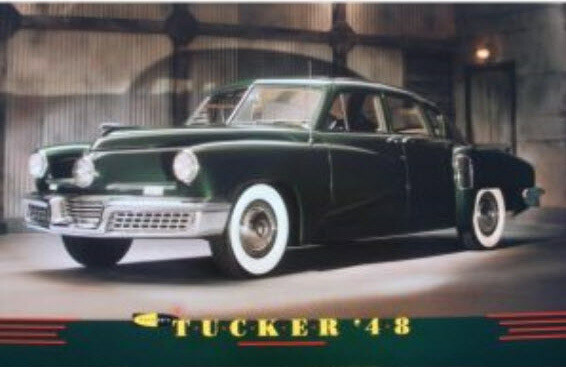 The video of the week features Rob Ida discussing the Tucker automobile and his grandfather Joe Ida's connection to Preston Tucker in 1948.
and Preston Tucker LLC . Watch Joe Ida's (Tucker dealer NYC 1948) son and grandson create the first ever Tucker Torpedo. The car concept that Preston Tucker set new standards in American Automotive engineering with. This concept thrilled the world but was never made. Now three generations later, the families are still pushing to get it done! Link to Tucker videos and films. 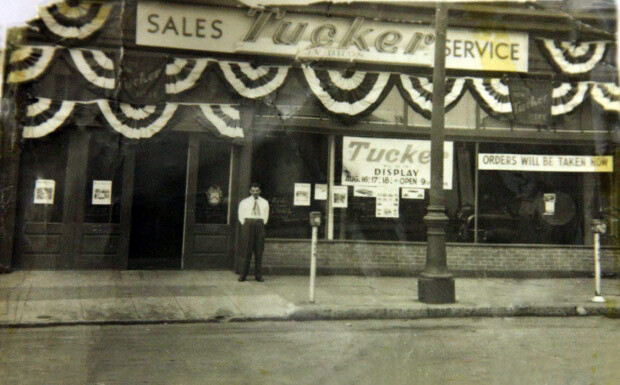 Rob Ida's grandfather Joe Ida in front of his Yonkers Tucker dealership in 1948. Sam, a full concours restoration would likely take 2-3 years. Ida Automotive and the Tucker Team will have nine months in Phase I of the restoration to repair, repaint and restore as much as possible. Based on the final condition and after driving and showing it in the summer and fall of 2018, I will decide if there needs to be a Phase II. Howard, how long did the Chrysler take for the award wining restoration. The restoration began in February 2013 and was completed in August 2014 (18 months).